Lately, it seems like electric vehicles are a hot topic. With major players like Tesla and Chevrolet throwing their weight around in the segment, new electric offerings deliver a longer electric range than ever before. Ford recently confirmed rumors that the company was working on a 200-mile range EV of its own, tentatively referred to as the Ford Model E. While the EV isn’t expected to enter production until late 2019, Model E rumors are flying around in the midst of anticipation of more info. Ford already has an electric Focus model, which offers a range of over 100 miles. However, that doesn’t seem to be stopping the company from striving for more. Not only will the upcoming Model E go head to head with the Tesla Model 3 and the Chevy Bolt, but it reportedly will also feature hybrid and plug-in hybrid models for those who don’t just want an EV but the comfort and familiarity of a traditional gasoline engine as well. Ford Authority adds its own speculation to the Model E rumors, stating it believes the vehicle will either be a midsize or compact car, which would place it underneath $40,000. 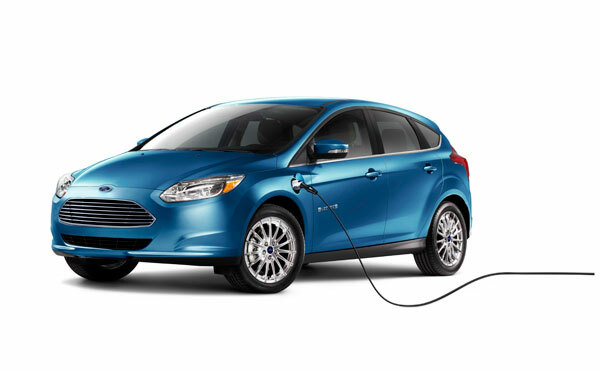 Additionally, if the Ford Model E will be offering hybrid powertrains, it may be replacing the C-MAX in Ford’s current lineup.